Every business is attempting to build their own brand reputation in an aim to create brand unique identity not to confuse with other brands. However, it’s difficult for all enterprises to create a sustainable strong brand and position it powerfully in the consumer’s minds as it requires a commitment of serious investment in 2Ms: method and money. As a result, many trademark infringements take place in Vietnam. Meanwhile, local businesses still do not pay much attention to this issue and thus, have engaged them in Intellectual Property (IP) Law’s violations. The statistics of 2017 showed that, local authorities have handled nearly 3,000 cases of IP infringements valued at over 20 billion Dong, contributed to the state of nearly 17 billion Dong. During the period from 2012 – 2015, local authorities handled nearly 26,000 IPR infringements with collected proceedings of nearly 97 billion Dong gained from those cases. IPR infringements often occur in various economic sectors such as trademarks of goods and services; industrial designs; software, motorbike and automobile spare parts;… taking place in all over provinces with high value. Not only high value items are infringed and counterfeited but other lower value products such as tissues, sauces, food,… are also imitated. This practice both damaged true enterprises and consumers who are unaware of counterfeit brands then buy the wrong ones. Mr. Vu Quoc Tuan, Head of External Affairs Nestlé Vietnam, Maggi’s brand representative, admitted that his managing trademark were severely counterfeited over the past few years. Therefore, Nestlé always struggles to protect Maggi’s IPR as it’s one of a few key trademarks owned proprietarily by Nestlé dating back from 100 years ago. It’s deemed a Famous Brand corresponding wide range of product categories such as oyster soy sauce, seasonings, sauces, stewed sauce,… In Vietnam market alone, Maggi trademark has become very famous and be present in Vietnam for many years [Read more about part 01: Nestlé’s Maggi trademark in “billionaire club” and its Inspriation from Family]. We hereby nominate a case relating to Maggi’s trademark infringed by a local spice producer named Hung Thang locating in Hanoi. The infringed producer imitated the bottle design of Maggi oyster sauce and the Maggi name for their spice sauce. Realizing our client’s legitimate rights and interests are being violated, we, as authorized by Nestlé (headquatered in 1800 Vevey, Switzerland) to deal with all matters regarding registration and resolving IPR enforcement in Vietnam’s jurisdiction, sent Cease and Desist letter to Hung Thang producer to stop their infringing actions towards Maggi’s bottle design and trademark name. Also, the producer was required to re-design their bottle product to differentiate so that it would not be no longer confusingly similar with Maggi’s oyster sauce of Nestlé. After the Cease and Desist letter was sent, also accompanied by Nestlé’s IPR certification towards industrial design and trademark certificate, the infringed producer admitted to imitate the Maggi’s product and agreed to redesign another bottle design. However, the redesign of their product was not so different enough from original Maggi’s oyster sauce of Nestlé in general for consumers to notice. According to current Competition and Intellectual Property Laws of Vietnam, the use of confusingly misleading Maggi bottle design is regarded as unfair competition action. The case later became more complicated as the infringed producer filed Industrial design registration for their bottle design which was not so different as the old one they used and as the currently used bottle product of Nestlé. Our company then decided to engage our client in filing a Cancellation of validity of issued Hung Thang’s Industrial design certificate sending to the NOIP. Finally, by our diligent arguments following closely with current legal framework, the infringed producer had to commit to fulfill Nestlé’s requirements. Not only local small and medium sized spice producers infringed Maggi trademark, our client also faced with a lot of other big cases bearing the same name as Magi, Megi, Taggi, or Tarri. One of those big producers was the Korean seasoning company, Miwon Vietnam with their infringed product namely “Magi Good Morning”. 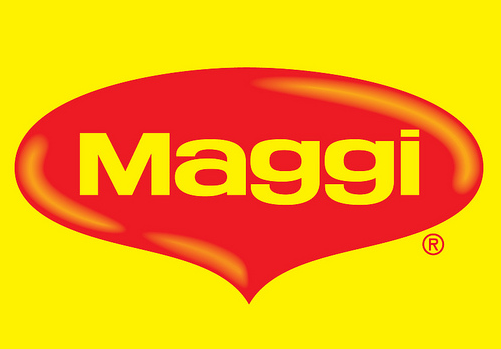 They argued that the “Magi” name merely indicated a type of sauce, rather than to imitate Maggi trademark owned by Nestlé. The case really challenged us as at that time, the word “Maggi” unwittingly became a common Noun in Vietnam to indicate a sauce… Please follow us on the next part of this article serie for this important infringement case of Nestlé’s "Maggi" in the Vietnam's Dictionary and their journey to pursue its IPR in Vietnam.